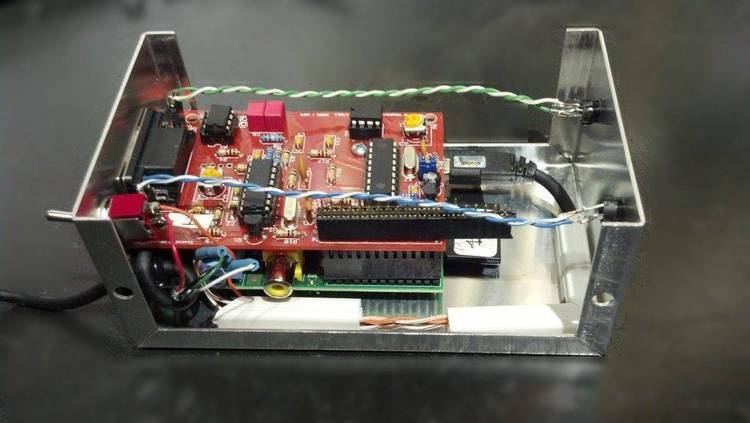 An very nicely done introduction to packet radio. imum use of the spectrum through shared frequency use. is sent, which allows the receiving station to check for errors. the station. The user never "hears" the QRM. WHAT IS A PACKET RADIO STATION? are typed, there is a flag consisting of one or more "mark"
"baud rate", or number of transitions from "mark" to "space"
time interval between characters themselves. flags to mark the beginning and end of the packet. ceiver microphone and speaker audio lines, and the PTT line. modem, which is available as surplus. already have is probably just fine. computer, assembly language is different for every machine. the vital software is storaed in an indestructible form. "burning in" the new program using special equipment. sending and receiving TNC's don't get swapmed with information. packet is transmitted in "synchronous" format. only with the contents of the DATA field. The ADDRESS field contains routing information for the packet. is sent; otherwise the packet is ignored. WHAT IS A PACKET NETWORK? control station is sometimes referred to as the "station node"
transmits any correctly received packets, or it can be "normal"
care of automatically by his TNC. possibility of link stations with access to two distinct LAN's. funneled to an addressee in the other net. A more sophisticated possibility is that of a "gateway"
before the continent is linked. special-services channels on the AMSAT Phase III-B satellite. repeater aboard the AMSAT Phase III-C satellite. since the end of 1981.
and includes 4K bytes of 2114 RAM and 4 K bytes of 2708 EPROM. and can hold a total of 48K bytes of RAM and ROM on the board. Tucson Amateur Packet Radio, PO Box 22888, Tucson, AZ 85734.